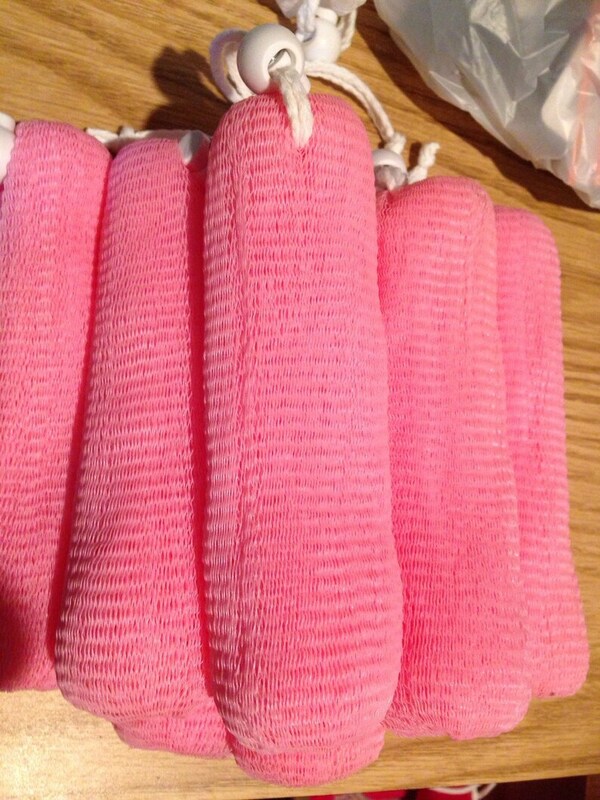 These exfoliating soap savers pouches are a great way to exfoliate your skin and extend the life of your soap. Just slip your soap in the opening and close the top by pulling on the cord. The cord lets you hang it up when you're done extending the life of your soap. Size are approximately 6.5" X 1.5". Arrived exactly as described. Thank you. Shipping rates are $3.50 for first item, and 75 cents for each additional item. Shipping overage charges greater than $2 will be refunded. Orders ship USPS and are typically processed within two business days. Orders of four products or more are typically shipped via USPS flat-rate shipping. Smaller orders are shipped USPS first class. Local customers in the Fair Play, Stockton and Bolivar, Missouri area may use the promo code "local" to avoid shipping charges. Please include delivery instructions with your order.